In this day and age, for any come-lately producer looking to make their mark, a debut album must swiftly be realized. 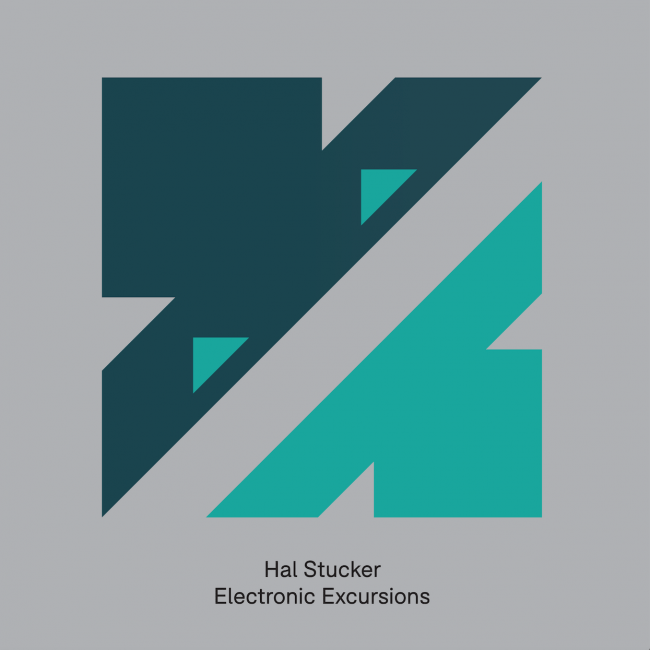 Hal Stucker however is not any producer and “day and age” – as you’ll see – plays zero part in ‘Electronic Excursions’ reckoning. Hal has no hidden agendas. He doesn’t desire an extra foot up the career ladder, more gigs, better billing or ‘to blow you away’ with his music’s dancefloor-filling capabilities. No, both his and the ambitions of his ‘Electronic Excursions’ album decidedly lie in other areas. In the pantheon of electronic artists’ LPs, there have been some sizeable pending times. Hal though might have out-pended the lot. Since his debut production (the Telica Records-released ‘The World Is Flat’) a not inconsiderable two decades have elapsed. Indeed for sixteen of those years, Hal was in full stasis, before Ruben de Ronde’s Statement! Recordings brought it off-ice with ‘Coral’ two years ago. Since, Hal’s productions have established a new DJ audience, engaging the musically enlightened likes of Above & Beyond, Cosmic Gate, Rodg, Grum and others. If you don’t already know, you’ve probably guessed anyway – Hal is considerably better known under another name. The ‘who’ is largely immaterial here (and possibly even unhelpful), as this album is an exercise in artistic emancipation. An opportunity to vent stylistically, after many years inside an ever-tightening perception box, it’s electronic excursions in name and nature. “Over the last 12 months, says Hal, I’ve embarked on a little musical outing to try and create a body of work with depth & emotion that you could listen to anywhere. I know that could be a cliché, but it’s the truth. It’s been an absolute joy working on the album – my first body of work in 25 years of being in the music industry. It’s different, but I sincerely hope you all enjoy the album as much as I did writing it”. Across 14 tracks, ‘Electronic Excursions’ is a refreshing master-class in not giving a flying one about the dancefloor. That’s not to say you wouldn’t dance to it. Only that it’s not its primary spur. The same goes for other conventions. Track runtimes regularly enjoy the luxury of 8, 9 10 or in the case of ‘Chaos Bowl’ 11+ minutes to play out their ideas, angles and sequences. Genre classifications are likewise largely redundant. Adjectives like ‘atmosphere’, ‘ether’, ‘mood’ and ‘journey’ play a far greater part in defining compositions like ‘Rubix’, Monlith’, ‘Conjour’ and ‘Chimes’. Tempos too enjoy greater-than-average bandwidth and while instrumentals are its norm, vocal interludes also exist (most notably on ‘Walking Over Fire’ sung by Emma Gillespie and Eilidh Hadden’s ‘Retrace’. Funny How Things Stick: Mr. Stucker enlightens us to the evolution of his unusual artist name. “Many people are unaware that Hal Stucker is an alias conjured up back in 1998. The name actually came from reading an article written by the real Hal Stucker and after a few releases under this alias I got an email from the man himself. He was and still is based in Boston, has written articles for the likes of the New York Times, WIRED and other major publications in the US. So now you know the ins-and-outs, you’re prepped for ‘Electronic Excursions’ arrival, in all its unshackled glory. That happens today and you can order Hal Stucker’s exceptional album here, as well as checking the album’s trailer video here.